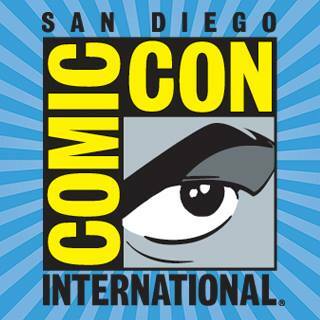 From July 8-12 in San Diego, the 48th annual Comic-Con International event was held. Thousands of die-hard fans, directors, producers, writers, actors and more gathered to celebrate superheroes, science fiction and celebrities. 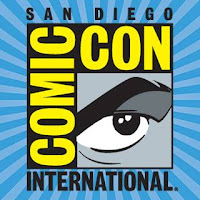 While it originally started as a conference for all things comics, hence the name ‘Comic-Con,’ it has been observed by digital marketing insights company Amobee Brand Intelligence that a shift has occurred in the primary focus of the event. The most important subject matter isn’t necessarily comicbooks any more – it’s television. And the actors are recognizing the medium’s superiority right now. “TV is the new frontier, the best writing is on TV. There’s great writing for women, women like me — my age, my ethnicity — to play great complicated characters,” said Halle Berry, star of “Extant,” during a panel. “For network TV, I feel like this year we tried to push every envelope and said let’s act as if we’re a cable show but we’re on CBS. How far can we go? Let’s push these limits. Luckily, CBS let us go pretty far this year,” Berry told Deadline. Actress Jamie Lee Curtis, who will be appearing on “Scream Queens” this fall on FOX, had similar remarks on television’s quality. “As someone who has spent her life working in horror films, many of them not written well, the reason why we are all here is because of the writing,” Curtis informed her panel. Hayley Atwell, who portrays Agent Carter in ABC’s “Marvel’s Agent Carter,” also agreed. “The quality of the writing [convinced me to do the show]. ... I read the script and I came out and went, ‘This is amazing!’ I had nothing but compliments. We’re working with such talented writers. It’s like you turn up and read the lines, you don’t have to add anything,” Atwell said. Comic-Con’s place has officially been cemented in popular culture and the mainstream – approximately 130,000 people attended. However, in recent years complaints about long lines and waiting times have risen. Given the move towards television, one can’t help but wonder if the establishment of a new, more appropriately-themed convention might be in order.